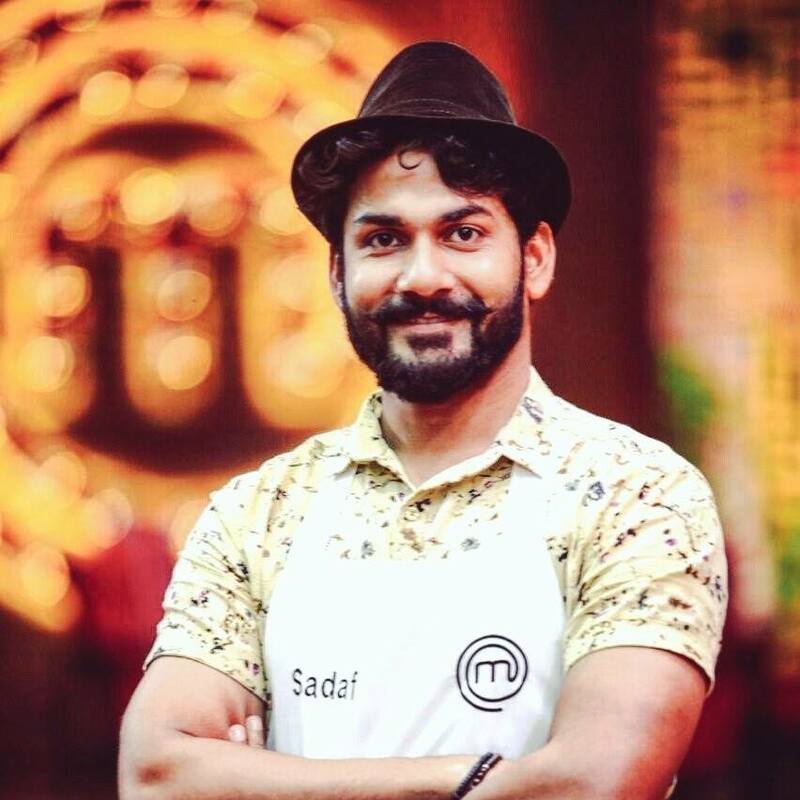 Sadaf; who once was restricted to join culinary school however, with his determination and passion nailed it to Master Chef Season 5 finalist because for him cooking wasn’t just a hobby. As leaders are born and leaders are made similarly, Sadaf too was a born foodie in fact he started going to school because he will get food thrice in four hours. That’s how he recognized his interest for food and started cooking at the age of thirteen. Once he had a wish to become the fattest kid on the earth no doubt with time his wish was vanished when he realized being a fattest kid is not a great thing. It sounds funny right however, every kid has his own fantasy world. His love for food grew with his age so, he moved to hostel and started cooking along with his friends. He started his cooking career from noodles which he learnt from a small shopkeeper. Then he started reading cookery books and watching YouTube videos to learn more. He learnt cooking just by observing people. He followed Master Chef Sanjeev Kapoor, Tarla Dalal and many more national and international chefs. To explore his love, he later on moved to Delhi, there he started working in Zee News. Apart from his job, he worked as an Economics trainer. He also explored himself in graphic designing and lived his photography passion. He is not only a professional but also a socialist who guided poor people about their rights and duties. He is also a critic on politics and economics. He loves travelling and exploring various cuisines all around the country. However, being a multi talented man he never left his cooking challenge behind and to fulfill his dreams he and his friend started a pop up cafe. There he exposed himself more towards food. His willingness to achieve his target and a pop up cafe became a place where he relocated himself and cracked the Master chef auditions with his dish Malaysian 5 Spice Satay Chicken served with Peanut Butter Sauce. His dream is to find stories about food and its origin. So he wants to do a show where he could bring back all the lost and unheard recipes and ingredients and to create his own versions of dishes. He would also like to bring a book cafe as he wants people should spend some quality time in reading as well so that food shouldn’t only act as an eatable but also as a reformer. He also wants a Food truck where the food could reach to people. His desire is to take people on a food journey and to tell them the importance of food. In the end I must say Sadaf’s determination, passion, struggle and hard work led him to the success. Previous Election Results are Out: How Congress Sets a Benchmark in Punjab?